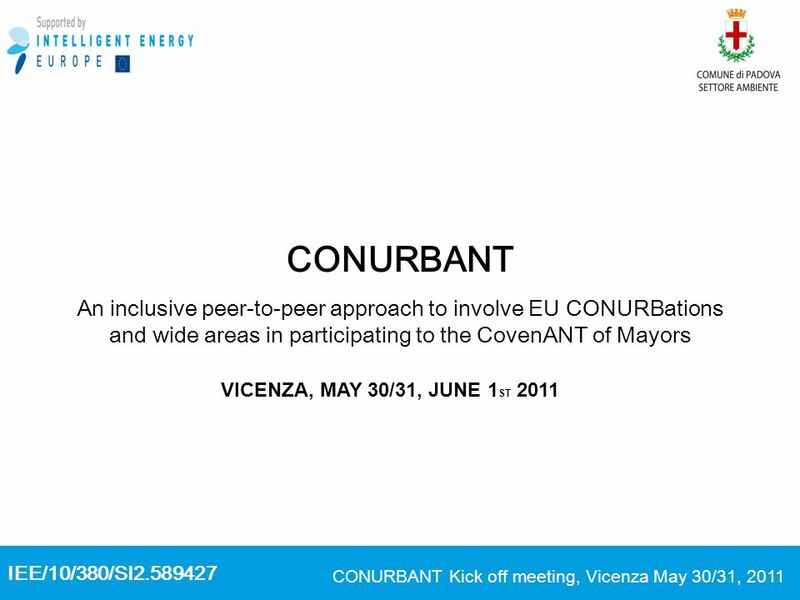 IEE/10/380/SI2.589427 CONURBANT Kick off meeting, Vicenza May 30/31, 2011 CONURBANT An inclusive peer-to-peer approach to involve EU CONURBations and wide. 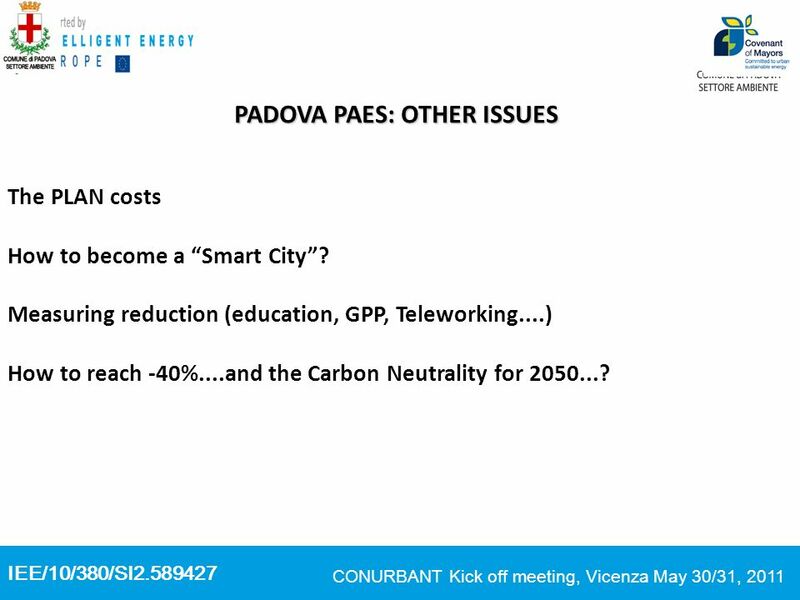 13 IEE/10/380/SI2.589427 CONURBANT Kick off meeting, Vicenza May 30/31, 2011 PADOVA PAES: OTHER ISSUES The PLAN costs How to become a Smart City? 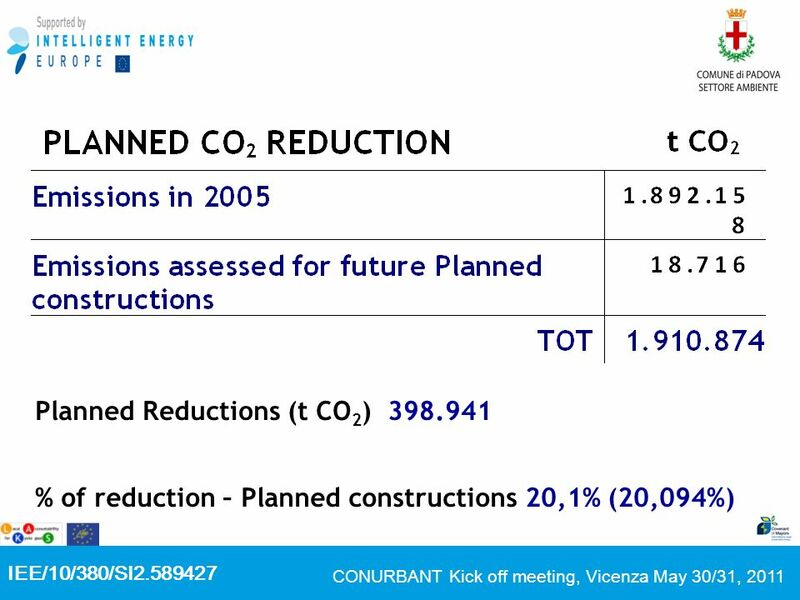 Measuring reduction (education, GPP, Teleworking....) How to reach -40%....and the Carbon Neutrality for 2050...? 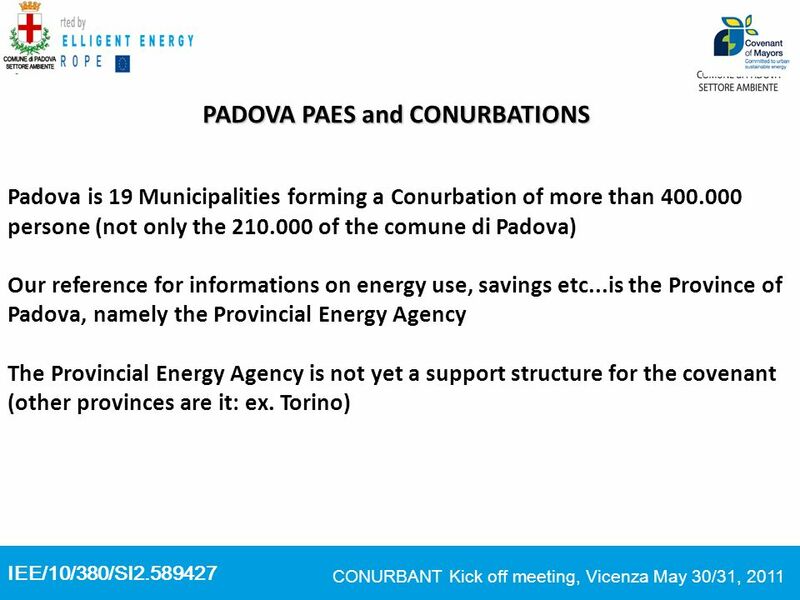 Download ppt "IEE/10/380/SI2.589427 CONURBANT Kick off meeting, Vicenza May 30/31, 2011 CONURBANT An inclusive peer-to-peer approach to involve EU CONURBations and wide." 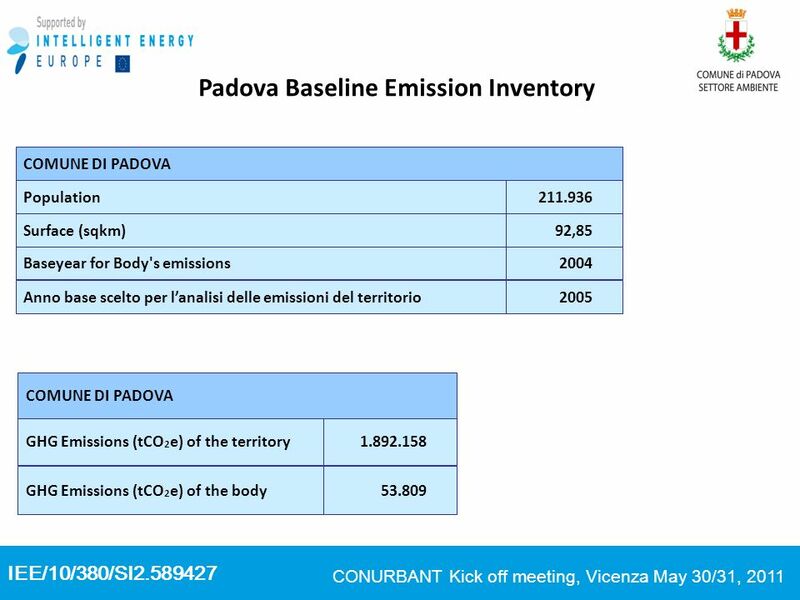 PROPRIETARY Any use of this material without specific permission of the European Climate Foundation is strictly prohibited ROADMAP 2050 A practical guide. CSR as a tool for sustainable territorial development at regional and European level: actions and suggestions Gian Angelo Bellati Direttore Unioncamere. 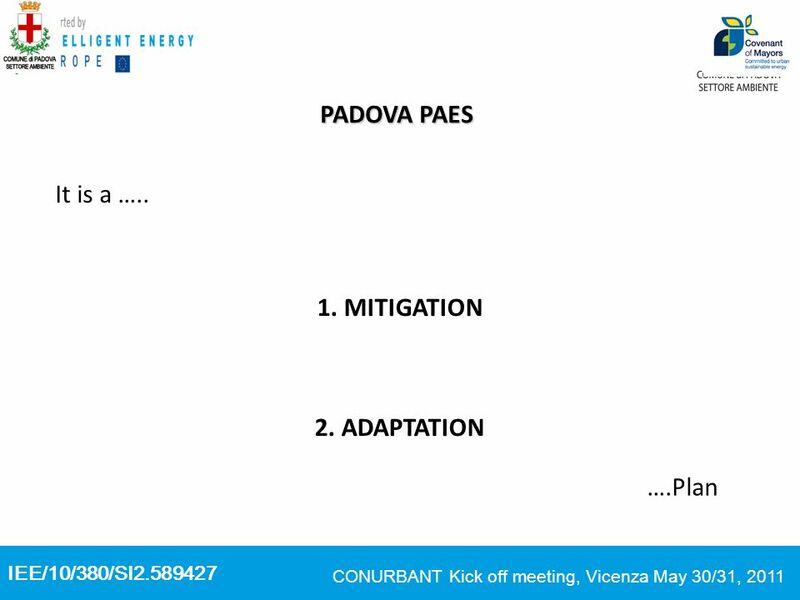 Putting Mobility Management and bicycling on the agenda by participating in national and interregional networks By senior consultant Anja Schaumburg, COGITA. 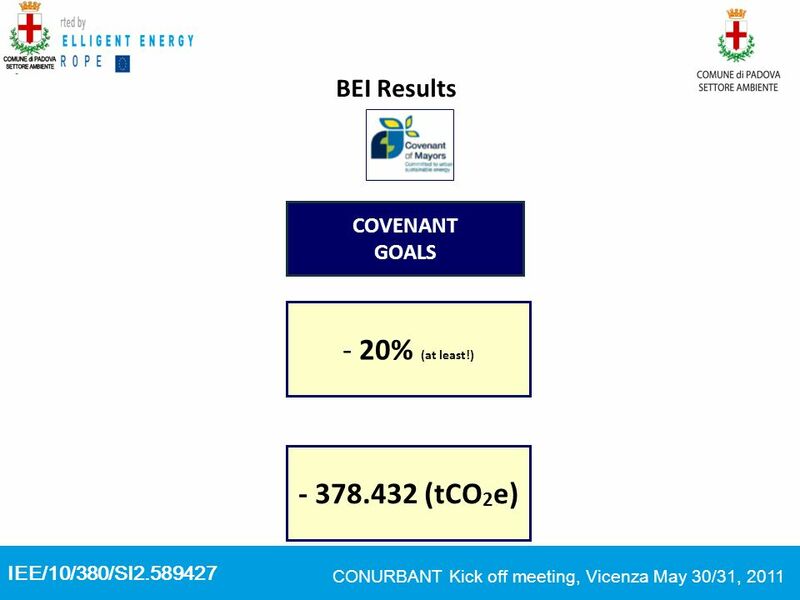 1 | 25-April-13| Clean Last mile transport and logistics management for smart and Efficient local Governments in Europe C-LIEGE Clean Last. 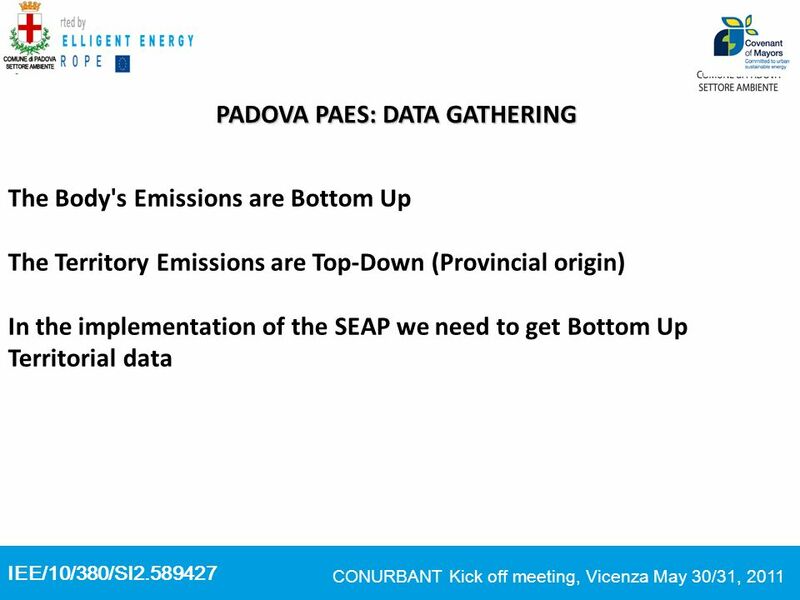 Joan Antoni Baron Deputy-President of the Environmental Area Diputació de Barcelona (Catalunya, Spain) Brussels, 21 May 2010 Low Carbon Economy: Energy. 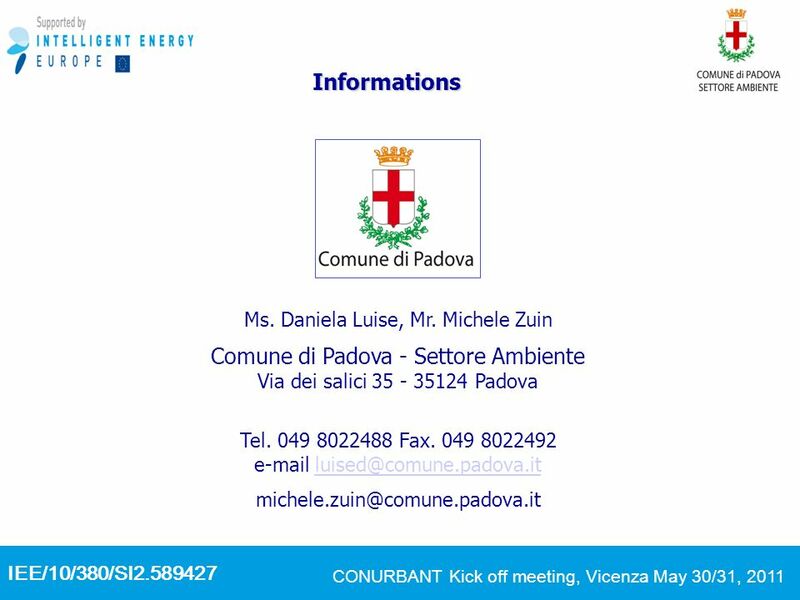 Investments in energy efficiency and renewable energy: synergies between the Covenant of Mayors and ERDF Iris Flacco Abruzzo Region - Italy Involvement. 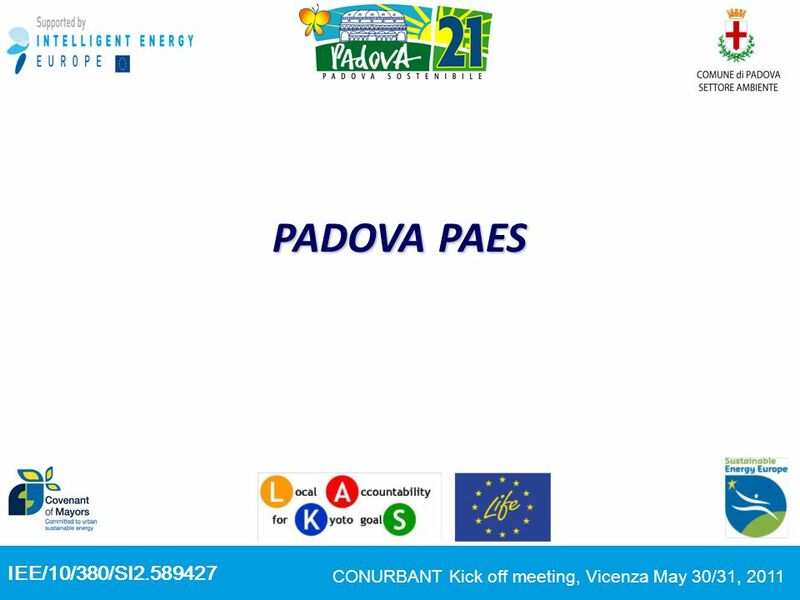 A commitment towards Europes energy and climate policy Roman Doubrava, DG ENER Covenant of Mayors. 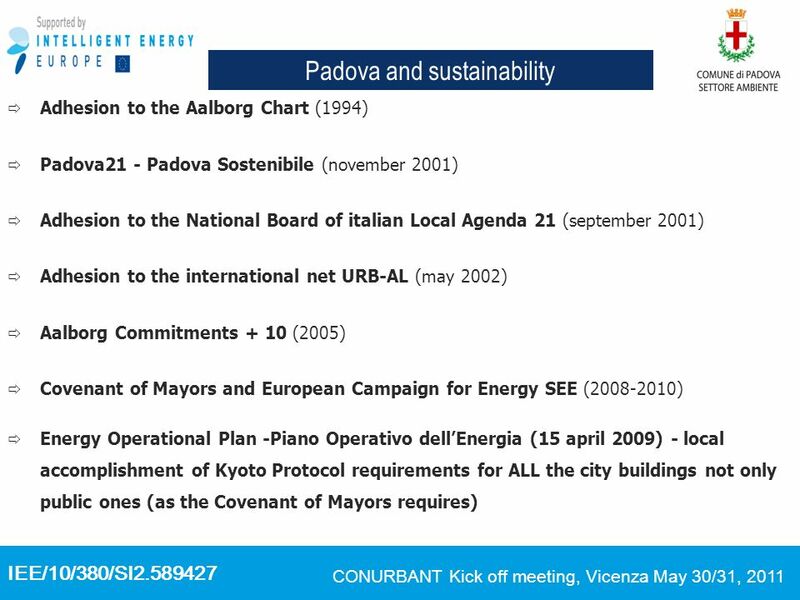 ENERGY FOR MAYORS - Genova International Workshop for Supporting Structures of the Covenant of Mayors: Focus on tools Thursday 19th May 2011, Genova, Italy.